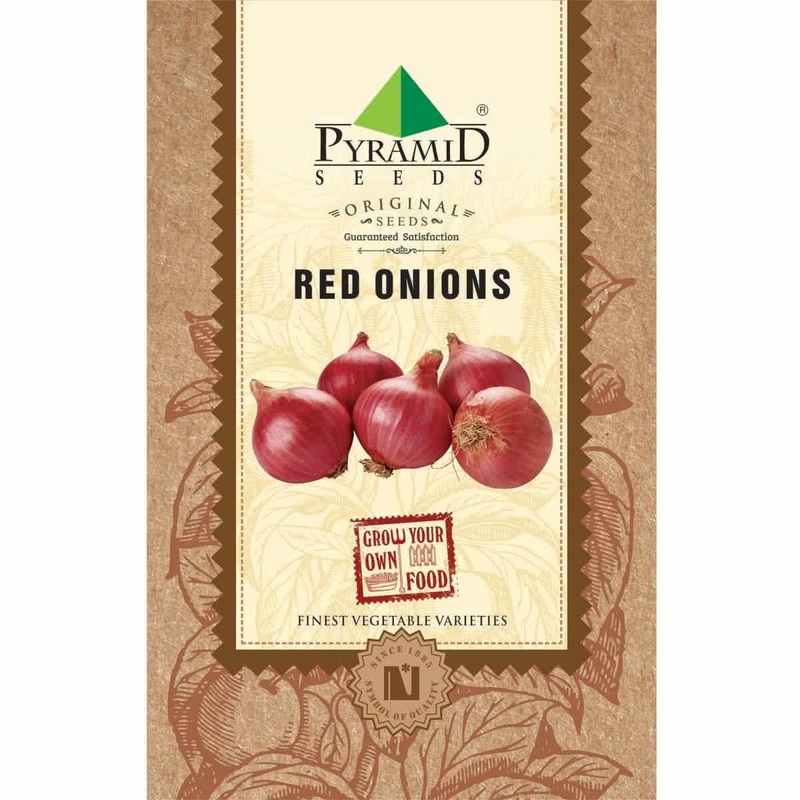 Red Onions can be sown directly from seeds or can be transplanted into containers or garden bed. Introduction and Uses: Indian Cuisines are incomplete with Onion. It is used to thicken the gravies. Onions add flavor to the dishes without increasing their calorie content. Most of the onion cultivars constitute of 89% water, 1% protein, 4% sugar, 2% fibre and 0.1% fat. 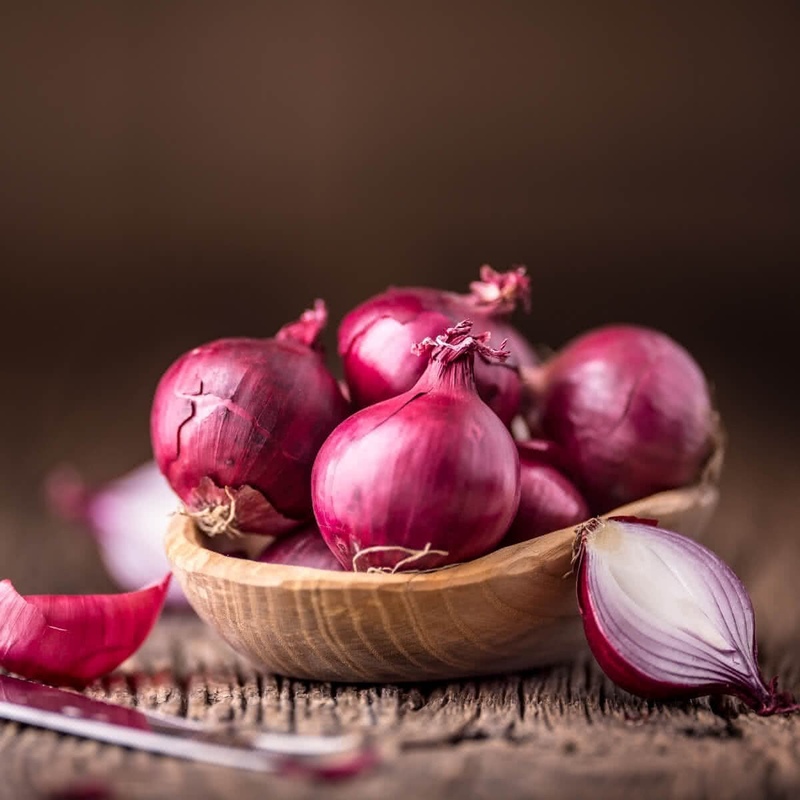 Red Onion is used particularly in salads to add a tinge of red color to the green palette. Because the seeds are small in size, Red Onion plant is grown by transplantation method. Seeds are first sown indoors in seedling trays or outdoors on seed beds & later the seedlings are transplanted into the containers or in raised beds. Hold the Red Onion seeds and sow 2-3 seeds per cell/cup. Since Red Onion seeds are small in size, do not sow them deep. Choose a container with a minimum depth of 12 inches & bigger spread area (according to available space & your requirement) like big Trays or crates. Spacing: Plant the seedlings minimum 6x6 inches from each other on raised beds or in a container. Sunlight: Red Onion grows well under full sunlight in winter. So place your containers accordingly. Watering: Water your potted Red Onion plant every alternate day in winter. Water at the soil near the plant. Use a watering can and make sure that the plants get water in the form of the shower & not by a single flow. You can also make provision for watering by watering by drip irrigation system for your raised beds. Avoid overwatering. Note: Stop watering Onion plants 2 weeks before harvesting when leaves start to turn yellow. Harvesting: (130-150 days from seed sowing) 100 to 110 days after transplantation, Onion bulbs will be ready to harvest. Uproot the onion bulbs & let them Sundry on field for a week before storing them. Approx. 1105 to 1228 Seeds in 4 gm, 6907 to 7675 Seeds in 25 gm, 27630 to 30700 Seeds in 100 gm, 69075 to 76750 Seeds in 250 gm.